I am not really a big fan of legal thrillers especially if it contains pages among pages among pages (you get the drift) of court proceedings. Especially the ones that they are required to do. HOWEVER! I do make an exception when it's John Lescroart. I love his Dismas Hardy series, while relatively a newcome to the series, I am hooked and look forward to reading earlier books. This one had something, imo, going on in the wings. Was the author trying to tell us something about the series? 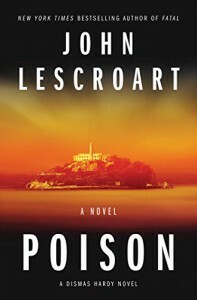 Well, I do know, whether this series or a standalone, I thoroughly enjoy John Lescroart's books! Huge thanks to Atria Books and Net Galley for yet another approval to read a John Lescroart e-galley in exchange for an honest, unbiased review.